A number of my images have appeared in books recently, all to do with admiring and doing what we can to protect the magnificence of nature. If you are looking for a present for yourself, a fellow nature lover, or better yet, someone who could benefit from learning about and appreciating what is still left of the natural world, please consider supporting these projects. The first is a book titled Back from the Brink, sponsored by CEMEX. 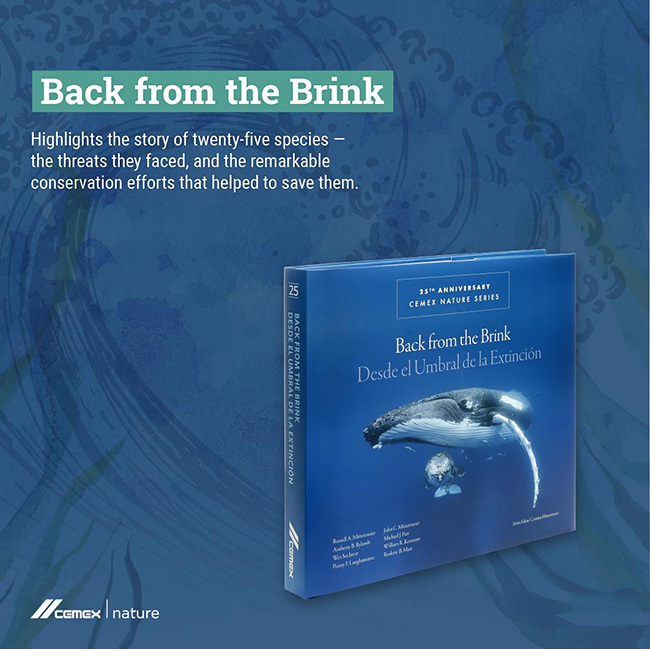 It is a collection of illustrated essays about 25 success stories, species that faced potential extinction but have made a comeback thanks in part to hard work by dedicated people around the world. I am honoured to have one of my photos featured on the cover. The project seeks to raise awareness of crimes against wildlife, ranging from obvious things like poaching, to less apparent issues like bycatch. The objective is to reduce and hopefully eliminate the crazy things people do to animals. That's a tall order, but we have to try. 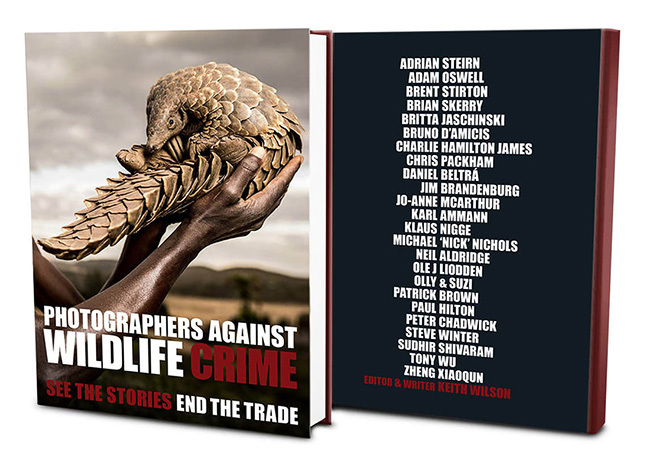 The book that Britta and Keith have put together features contributions from 24 photographers. One interesting feature of the project is that it will be translated into Mandarin, so that readers of Chinese can have an opportunity to appreciate the depth and breadth of issues facing global wildlife. Please click here to purchase a copy and support this project. The third book is a Japanese publication, pulled together and edited by well-known Japanese photographer Hiroya Minakuchi. Minakuchi-san is a veteran in the cetacean world. To put the timeline in context, when I was still stuck in an office job, he was already well established. I have not met him in person, but we have communicated on and off, and I’ve pitched in for a couple of his previous projects. I realise most people reading this will not be able to read Japanese, but Minakuchi-san has pulled together a stellar collection of cetacean images. I haven’t had time to read through carefully yet, but with a quick flip-through, I see many images and photographers I recognise. I’m tempted to say that it’s worth getting the book just for the photos, even if you can’t read the text. If you can read Japanese and are into cetaceans, it’s a no-brainer. 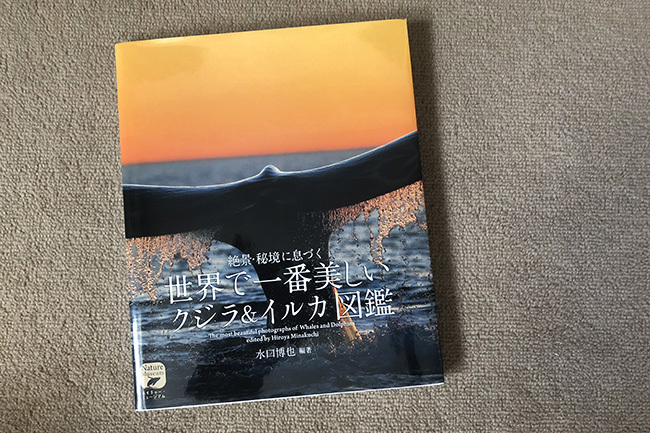 The book is titled 世界で一番美しい クジラ&イルカ図鑑, which translates roughly to A Pictorial Reference of the World’s Most Beautiful Whales and Dolphins and is available for purchase here. The final book is one that I don’t actually have any photos in, but I want to give a shout out to. 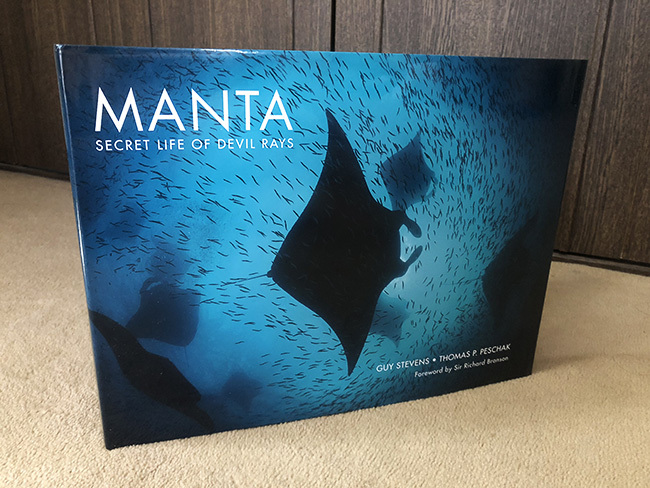 It is a book about manta rays, written by Guy Stevens, the driving force behind Manta Trust, and features images by Thomas Peschak, co-founder of Manta Trust, a NatGeo photographer and all-around great guy. I have had my copy for a while now, but haven’t been able to read the entire book (sorry Guy! ), but I can tell you that it is packed with information. If you want to learn about mantas, this is your go-to source, hands-down.